Rinse your paint brushes with Lavender Brush Cleaner during painting sessions to remove paint from brushes, and thoroughly clean your brushes with it after your painting sessions to remove paint and medium. 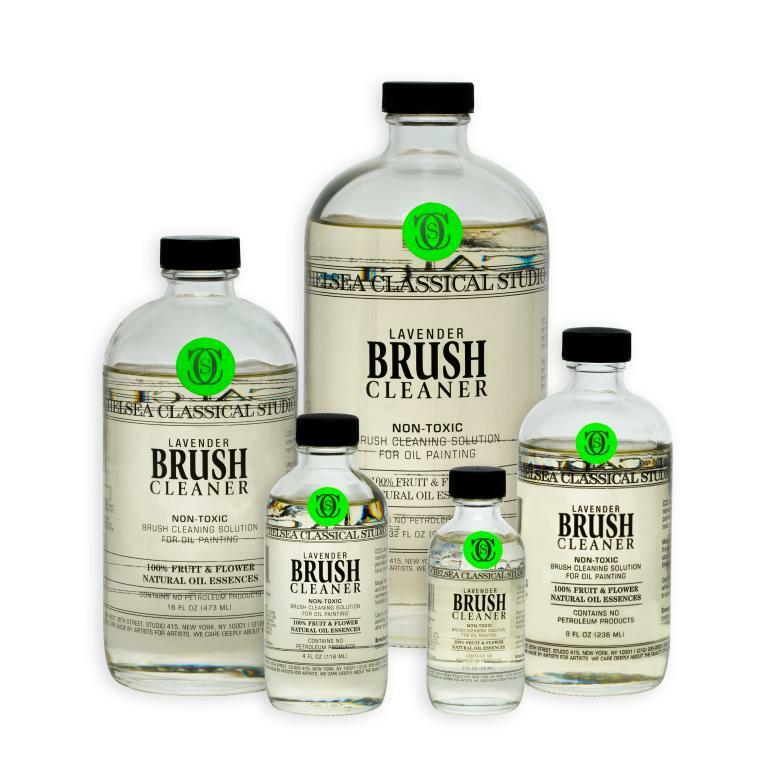 Chelsea Classical Studios Lavender Brush Cleaner is a safer, natural alternative to turpentine, petroleum mineral spirits and other toxic solvents. Combine with Lavender & Olive Oil Brush Soap to moisturize brushes, keeping them in good condition for future use.